So, we are to trust God, not money. 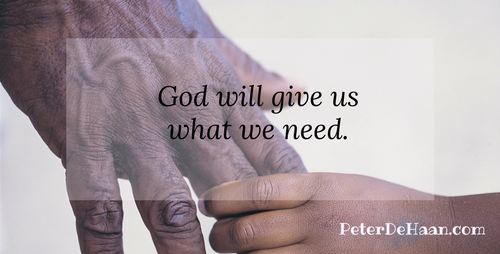 God will give us what we need. We are to use what money we do have for good, thereby putting our “savings” into lasting things. With the stock market going down, this is certainly something to think about.